Welcome to Vilma's hand made Jewelry internet site! Welcome to my gallery of original and unique handmade jewelry. I have been designing handmade jewelry for two years and enjoy designing and creating beautiful and special jewelry. Who doesn't love a little bling? 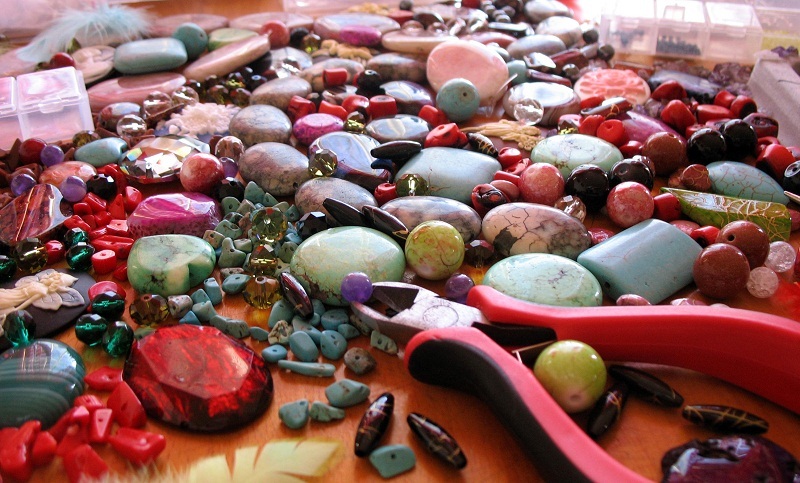 Here you will find a wide selection of beautiful hand crafted jewelry created using various beads and materials: from glass beads, semi-precious stones to 925 silver and silver plated metal. Everything you see has been hand crafted using a variety of different techniques. No two pieces are the same - each piece is unique and can be personalised to suit your requirements. Whether you are looking for jewelry as a gift for someone special, a treat for yourself, jewelry to match an outfit or jewelry for a special occasion such as a birthday or wedding, I hope you will enjoy browsing through my collection. I am constantly designing handmade jewelry, so if there's nothing that interests you right now, please come back again soon and bring friends or Contact Me for a personal, custom design. If you would like to buy my product, please Contact Me and don't forget to write the number of the item. Thank you for stopping by, please feel free if you have any questions our comments.